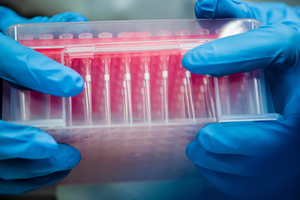 Are you carrying your environmental values into the lab with you, or checking them at the door? 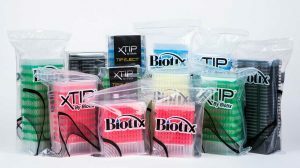 Biotix tips contain about a third less plastic than competitor tips, but we wanted to make a bigger impact. In 2016 we launched multiple plastic reducing initiatives including reducing the thickness of our shrink wrap, re-designing our rack and launching new reload systems. Learn about our initiatives below and stay tuned for more exciting launches in 2017! 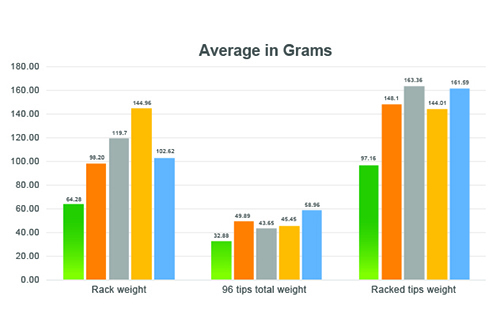 The Optimus Rack uses over 1/3 less plastic than the competition while providing stability and user-centered function. Check out our two reload systems and see which features best fit your needs. We are committed to innovating toward increasingly sustainable practices and products. At Biotix sustainability starts before the tips are manufactured. 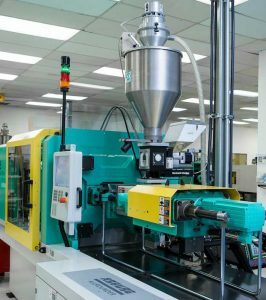 Biotix plastics are produced on a new generation of electric and hybrid molding machines which consume 30% less electric than traditional Hydraulic systems. We have an ongoing commitment to Six Sigma and lean improvements which lead to less defect, less waste and better use of resources. Learn more about our manufacturing. The days of associating heavy plastic with “quality” are over. This mentality is not sustainable. 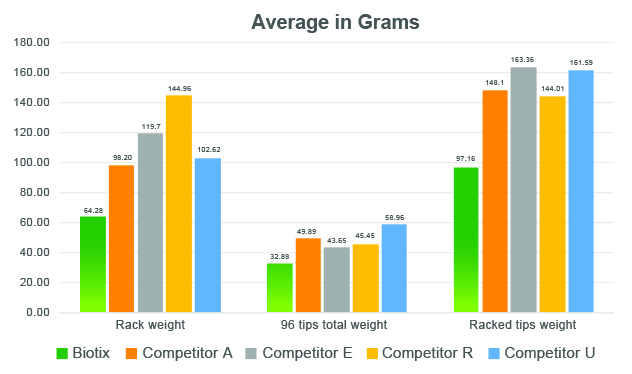 In this graph you will find the weight in ounces of tips and racks of other leading pipette tips compared to Biotix. 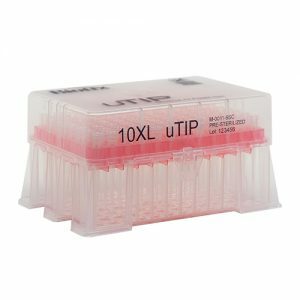 We provide a superior pipette tip in user-centered packaging while using less resources. Recycling is great, using less resources to create a recyclable product from the start is even better. 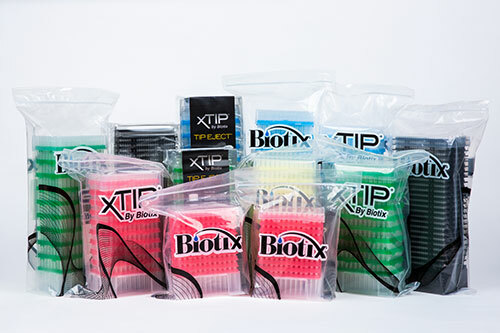 Biotix tips contain about a third less plastic than competitor tips, but we wanted to make a bigger impact. increasingly sustainable practices and products. The days of associating heavy plastic with “quality” are over. Check out the power of 1/3. 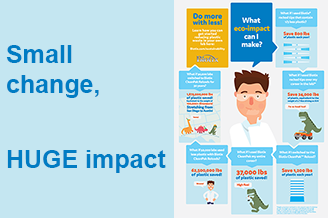 Did you know you could save 24,000 pounds of plastic over your career just based on tip selection? See the stats. Arta Motadel, founder and Biotix CTO discusses why tip innovation is making an impact. Often overlooked in citations, tips can have a major impact on data quality. 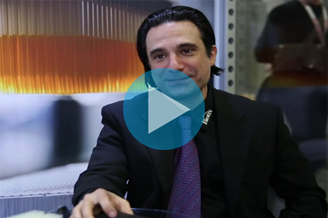 Motadel shares his passion behind the innovations and discusses goals for the industry with sustainability top of mind. Linda the Lab Manager walks through the unique benefits of the CleanPak Reload solution in less than one minute. You can conserve resources while minimizing contamination concerns. 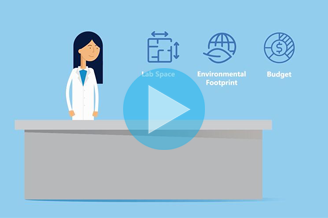 See how in this short video created by the folks at Lab Manager Magazine. Arta Motadel, founder and Biotix CTO discusses why tip innovation is making an impact. Let’s be real, we are a plastics company. We make plastic because the research community needs plastic. Awesome things are accomplished using laboratory consumables but this comes with an environmental cost. 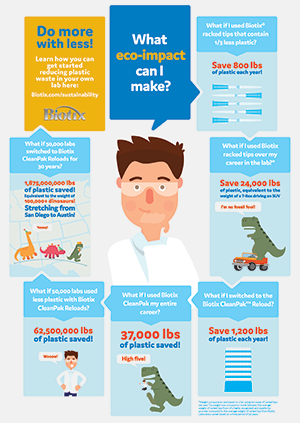 At Biotix, we know we can do more with less. We invite you to learn more about what we are doing each day to provide you with data improving products while reducing our footprint.